From some city stats that get a call out on Bike Portland in ‘PBOT, Police stepping up enforcement of traffic laws” ‘. 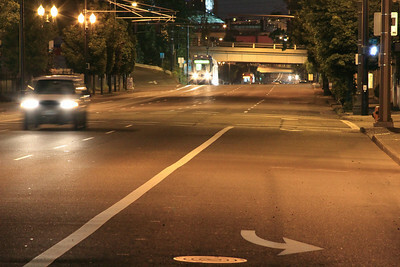 To date in 2013 there have been 23 fatal traffic crashes in the City of Portland. There were 31 in all of 2012. At this time last year, there had been 17 fatal traffic crashes. There were 4 traffic fatalities in 6 days from July 5 to 11. Two involved speeding and impaired drivers. Just think about those stats for a minute. Draw some connections and think about what you’re doing. Riding a bike, driving a car or walking. Remember you need to keep an eye out as a motorist for everything since you wield an instrument of death. The data shows already that drivers have killed 6 pedestrians, technically 4 of them were involuntary manslaughter! 2 were inattention on behalf of the pedestrian, still however, they were killed by drivers. There has been 17 fatal motorist on motorist crashes. This is a horrible number considering 2012 only had 31 for the entire year and we’re technically driving less than we have in years in the United States. Of those, 3 of them were motorcycle riders being killed, I’ve checked – it was again the standard situation. Motorcyclists, unfortunately have the same issue as cyclists do, except dramatically higher speed which doesn’t help mitigate issues being how poorly trained most US drivers are. Cyclists killed nobody. I don’t think a soul has been killed by a bus, MAX, streetcar or train so far this year in Portland. So far we’re doing good in that category. The only killers out there, are again just the drivers. So keep an eye out everybody. Statistically, watch out for the cars. Drivers, watch out for the cars. Pedestrians watch out for the cars. Cyclists… watch out for the cars. Basically, watch out for the cars and we should see a drop in fatalities. 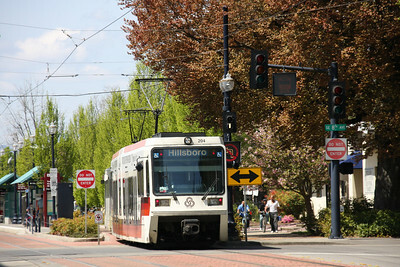 In other news, it’s beerfest time, so I’m going to just on the Trimet #4 and hit up some beer and fun downtown. Cheers, and watch out!